(from Voice of America) — New research has found that a major Greenland glacier that was once one of the fastest shrinking on Earth is now growing again. 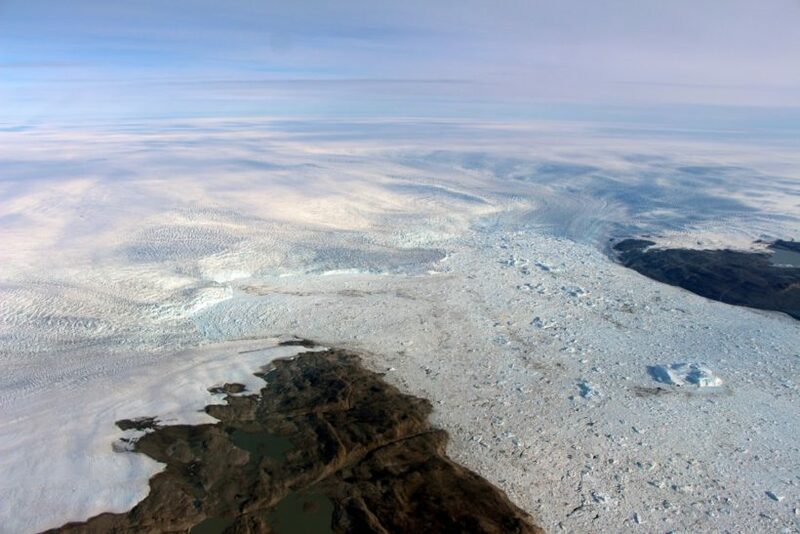 Scientists from NASA recently reported their findings about the Jakobshavn glacier, which sits off the island’s west coast. NASA said Jakobshavn had been Greenland’s fastest-flowing and fastest-thinning glacier for the past 20 years. During that time, it was the single largest source of mass loss from the Greenland Ice Sheet. Because of the glacier’s size and activity, researchers have used it to help predict world sea level rise. Scientists from NASA and other organizations have been observing Jakobshavn for many years. Researchers involved in the study say that, since 2016, the glacier has experienced major thickening. It is also flowing more slowly and moving toward the ocean, instead of retreating inland. They say cooling waters in the North Atlantic Ocean have caused the changes in the glacier’s activity. The cooler waters reached western Greenland’s Disko Bay. NASA says water temperatures in areas around the glacier are currently colder than at any time since the mid-1980s. The research is based on information collected from NASA’s Oceans Melting Greenland or OMG mission and other observations. Ala Khazendar is a glacier scientist with NASA’s Jet Propulsion Laboratory in Pasadena, California. He helped lead the study. The research team has recorded cooling water near Jakobshavn for three years in a row. 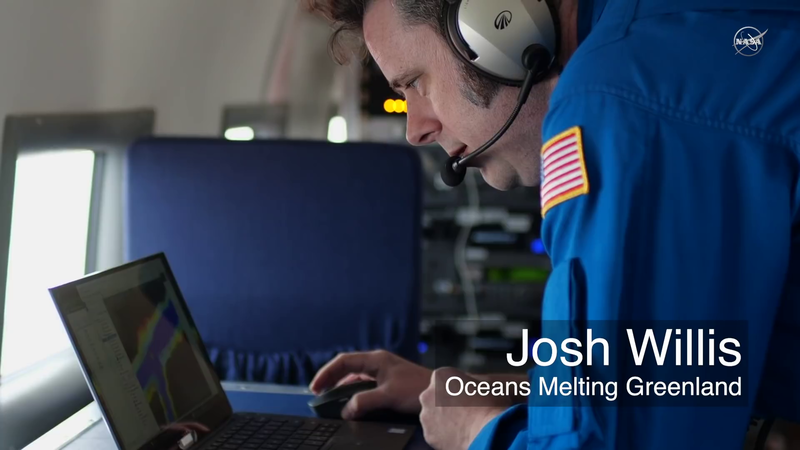 Jason Box is an ice and climate scientist with the Geological Survey of Denmark and Greenland. He was not part of the study. He told the Associated Press the new discovery about Jakobshavn was surprising because it had been moving in the other direction for so long. Box said, “The good news is that it’s a reminder that it’s not necessarily going that fast.” — “But it is going,” he added. 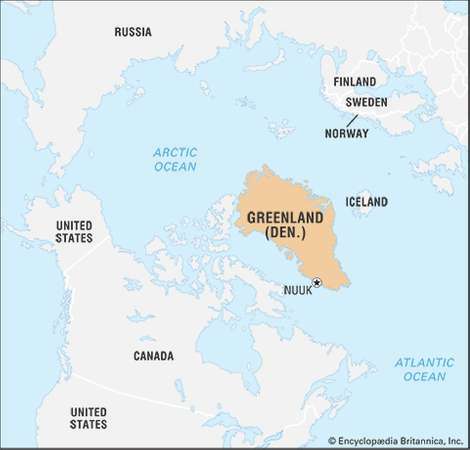 A statement by NASA stated that, even with Jakobshavn’s new growth, it “is still adding to global sea level rise.” Scientists say this is because the glacier continues to lose more ice to the ocean than it gains from snowfall. The sea level rise is just happening at a slower rate. Researchers involved in the study as well as other scientists believe Jakobshavn is experiencing only short-term changes. The main reason they think this is because the cold water affecting the glacier was set in motion by a climate system called the North Atlantic Oscillation. This causes a natural, temporary cooling and warming of different parts of the ocean. The system is similar to El Niño conditions in the Pacific Ocean. El Niño develops when winds off the coast of South America weaken. This enables warm water in the western Pacific to move eastward. The study identified a recent period that resulted in a “cooling of the Atlantic in general.” In addition, extra cooling happened in 2016 in the waters along Greenland’s southwest coast, it said. The cooler waters flowed up the coast and reached Jakobshavn. Published at learningenglish .voanews .com on March 31. Reprinted here for educational purposes only. May not be reproduced on other websites without permission from Voice of America Learning English. b) For how long has Greenland’s Jakobshavn glacier been thinning? c) Define predict. Why have researchers used the Jakobshavn glacier to predict world sea level rise? d) What surprising fact have researchers studying the glacier noted over the past few years? e) Re-read paragraphs 7-8, 10-11 and 13-14. The scientists assume / believe / think. They are surprised by this reversal that they never imagined would occur. What do you think? Is this just a fluke? Is the science on man-made catastrophic climate change settled? Explain your answer. People have opposing views about the probability that man’s use of fossil fuels (gas, oil, coal) will cause catastrophic climate change. Some people refuse to hear the opposing view on this issue. A good approach is to learn the facts/statistics supporting your side of the issue and to be able to express them clearly and concisely. Learn to logically defend your position, and politely respect your neighbor’s point of view. Encourage one another that each person needs to be tolerant of the other’s point of view. The earth’s climate is warming as a result of human actions; an extreme change in the earth’s temperature is going to occur, caused by greenhouse gas emitted by the world’s use of fossil fuels (coal, oil, gas). This temperature change will result in catastrophic problems in the environment. Humans must drastically reduce the consumption of fossil fuels immediately. To prevent this man-made climate change, countries need to restrict energy use (reduce use of gas and oil). Read a 2017 post on “Media Freezes Coverage of Study” of ice in the Arctic region. The theory of Global Warming has two sides. Those who believe that man-made catastrophic global warming will destroy the earth soon say it is settled science and there is no room for disagreement.